What Are The Best Fitness Trackers for Indoor Running? Swimming? Check. Hiking? Check! Running? Check. If you’re shopping for a fitness tracker that tracks your favorite activities, today’s choices are better than ever. Manufacturers have answered the call for faster, sleeker, and more customized fitness trackers for however you like to work out — in the water, on the trails, or even indoor running! With that in mind, here are our top three picks. As a bonus: if your gym has Life Fitness treadmills, you can also sync directly with that machine using the compatible Life Fitness app. The Forerunner is an excellent choice for beginner runners who want to take training to the next level. 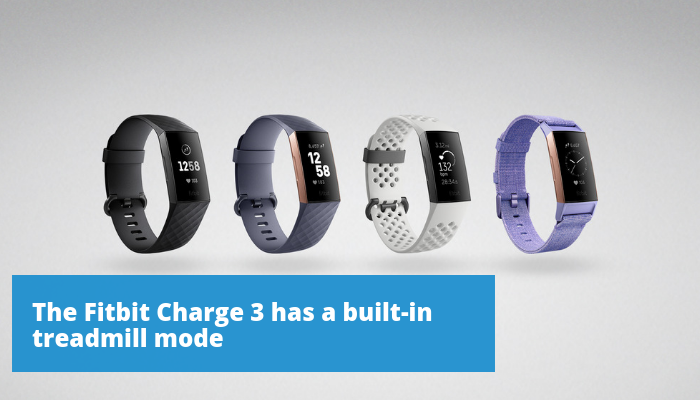 While it’s not as sleek as some other stylish wearables, it’s a workhorse with up to five weeks of battery life. For running indoors, strap the foot pod accessory to your shoelaces to accurately record time, pace and distance. This trim but powerful wearable was the top pick for best fitness tracker after extensive testing both indoors and out. The Vivosport has GPS capabilities and activity auto-detection, but for indoor running you can rely on its algorithm-based distance-measuring (based on your height and stride). In treadmill testing, this model was one of the most accurate, according to Wirecutter. These three options are among the best in the market, but the choices are endless. Want to learn more? Read our other fitness tracker coverage!